Seed companies are often seen as the nemesis of agricultural biodiversity. At the same time, farmers around the world, big and small, are in dire need of good quality seed to produce the food needed for 9 to 10 billion people. 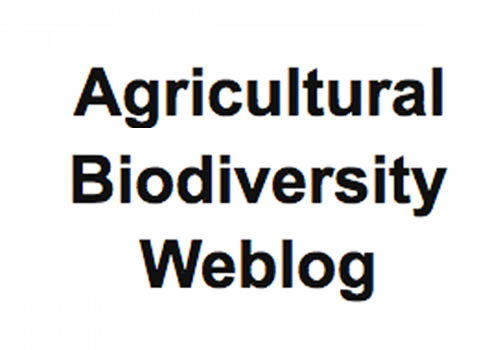 What is the state of the balance between agrobiodiversity, world food production, and the seed industry? The Global Access to Seeds Index 2019, published on 28 January 2019, provides some insights on this dilemma. The Index takes stock of to what extent, and how, the seed industry provides good quality seed of suitable crops and varieties to smallholder farmers – the base of the world’s agricultural pyramid. Overall, 13 leading global seed companies were found to address climate change and nutrition needs, but to reach only around 10% of the world’s small farmers. Lack of crop diversity is a major constraint; hybrid seed dominates while legumes are largely ignored. 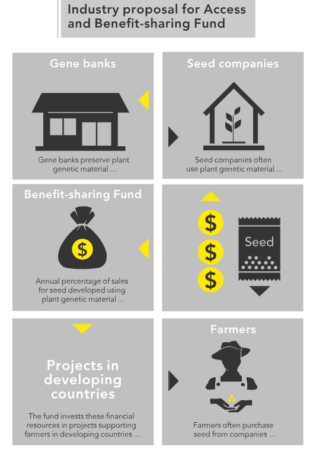 While the focus of the Index is wider, insights on how seed companies deal with agrobiodiversity is part of the picture. In this blog post I provide a preliminary analysis. The Access to Seeds Index investigated whether companies sell major field crops and vegetables, ones that are important for food and nutrition security and require at least annual replanting. Companies were found to develop and market varieties of many such crops, but with a very clear gap for dry legumes. Not one company was found to market groundnut, pigeonpea or cowpea, and only single companies have dry bean and chickpea in their portfolio. Neglected crops are getting attention: about half of the companies invest in local crops, providing professional quality seed and/or setting up breeding programs. Most local crops – 15 – were found in company portfolios in South and Southeast Asia; there were only two such crops in Latin American portfolios. East-West Seed, across the world, with 14 local crops, and Limagrain with seven local crops in its portfolio, are leading in investments in agrobiodiversity through local crops. Yardlong bean can be called a ‘global-local’ crop, since it is being sold in all four regions, and by three companies. As far as variety development is concerned, in addition to yield, companies give very high priority to breeding for local adaptation through breeding for tolerance to abiotic stress and pest and disease resistance. But fewer than half breed for local tastes and preferences. To a large extent, companies are actively involved in developing workable global Access and Benefit Sharing arrangements, and have suitable track and trace systems. Most collaborate with CGIAR in genetic resources matters. A majority have active ‘in-kind’ collaborations, for example through testing and multiplication of (local) genebank materials. Some have made considerable financial donations to the Plant Treaty’s Benefit Sharing Fund and/or the Global Crop Diversity Trust. But no company was found to support in situ conservation efforts or community genebank initiatives. Most companies support the breeders’ exemption under plant variety protection regulations, allowing varieties to be used by other breeders. Also, most companies do not block on-farm seed saving of their commercial varieties, with several being particular lenient when it concerns smallholder farmers. However, a focus on developing hybrids, as opposed to ensuring the availability of OPVs, effectively restricts the practice. Only East-West Seed, Advanta, Sakata and Limagrain have a company policy to sell OPVs in addition to hybrids because of their smallholder farmer clientele. What did we learn? The global companies studied were found to take agrobiodiversity seriously, both expressed by company portfolios and by the sector’s willingness to contribute to ABS, its recognition of the breeder’s exemption and – with some clear reluctance – its respect for non-commercial on-farm seed saving. But obviously there are gaps. There is a clear lack of interest in in situ and community conservation of genetic resources, showing that companies prefer to stay on one side of the line between formal and informal genetic resources conservation activities. And companies are shying away, probably presently for good commercial reasons, from legumes. This story isn’t finished yet. What is the contribution of regional and local seed companies to conservation and use of agrobiodiversity? The final synthesis report of the Access to Seeds Index 2019, that will bring insights together across regions, and across global, regional and local companies, will be released in May 2019. So watch this space for further updates, and in the meantime keep checking out the Access to Seeds Index website.